Meet the Links Ladies. 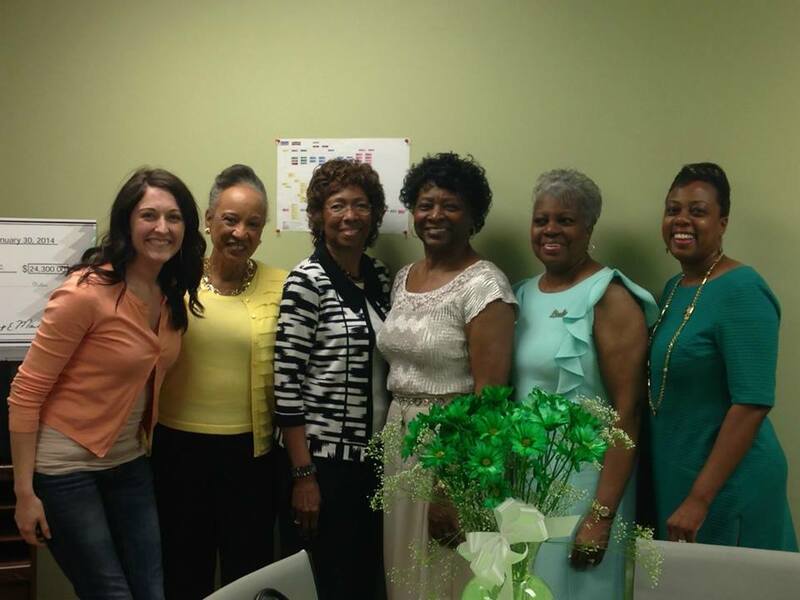 As part of The Links, Incorporated, this dedicated group has volunteered at our Durham Branch for the past 4 years. Every week they come to pack and deliver approximately 50 Weekend Power Packs for a local elementary school. Without this hardworking group, we would need to pull from other resources in order to get the Packs completed and delivered on time each week. Their passion for and dedication to the children in our community is infectious, and we are so grateful for their service. A huge round of applause for these fabulous ladies! Meet Gladys. She is a a full-time student at Pitt Community College and enjoys volunteering at the Food Bank because it keeps her active and allows her to “see just how much this old senior citizen can do!” She says it also helps build her self-esteem and gives her a sense of belonging. “It makes me feel good knowing that I am part of a team that is helping people with one of the most crucial basic needs.” Thank you so much for your dedication, Gladys! We really appreciate your continued hard work! Meet the awesome volunteers at our New Bern Branch! Not only do they keep our New Bern distribution center running smoothly and safely, but they also maintain a flourishing community garden that provides fresh produce to local families in need. Read all about our Master Gardener volunteers here: Growing Hope. Meet The Regulars. 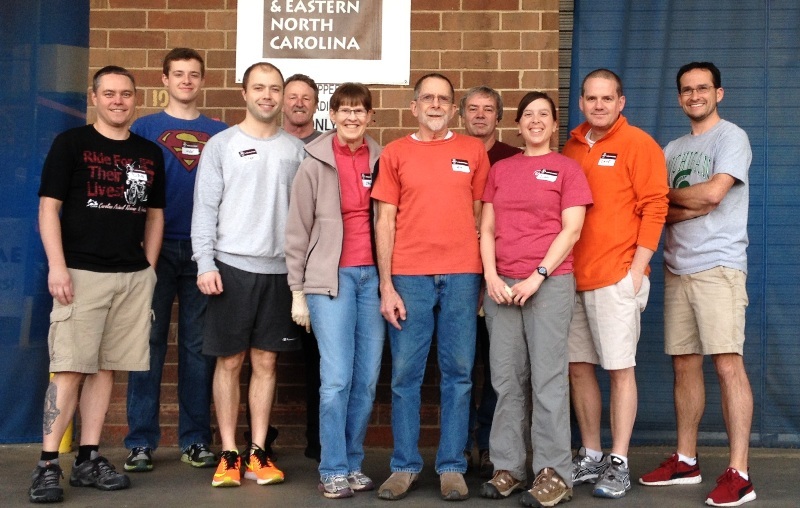 Every week these folks put on their Food Bank work pants and come to our Raleigh Branch to sort food. They volunteer after long work days or take time from their busy weekends, often inviting their friends to join them and always with smiles on their faces. They are fierce advocates of our mission and experts in pallet jack operation. This group not only makes a huge difference for our staff at the Raleigh Branch, but also for those who are hungry in their community! We estimate that The Regulars have served a total of 2,682 hours and provided 348,757 meals to local food insecure households. An incredible achievement and service to our community! On behalf of all of our Raleigh staff, thank you for your hard work and dedication, Regulars! Meet Mr. Sweet, Miss Darian, Miss Rosalind, and Mr. Robbins’ kids. 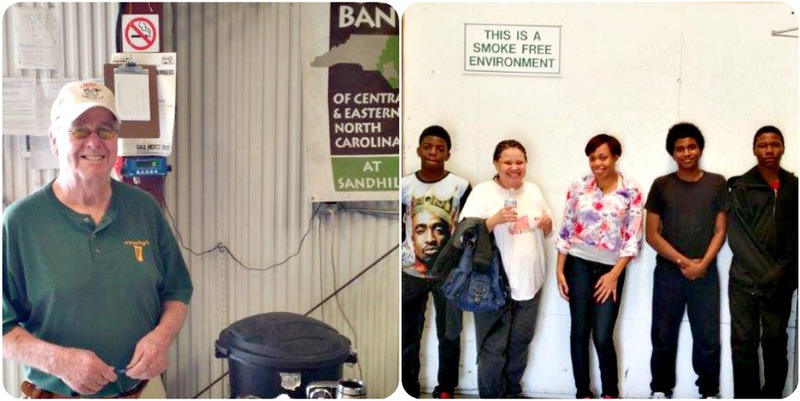 These folks volunteer at the Sandhills Branch every week. 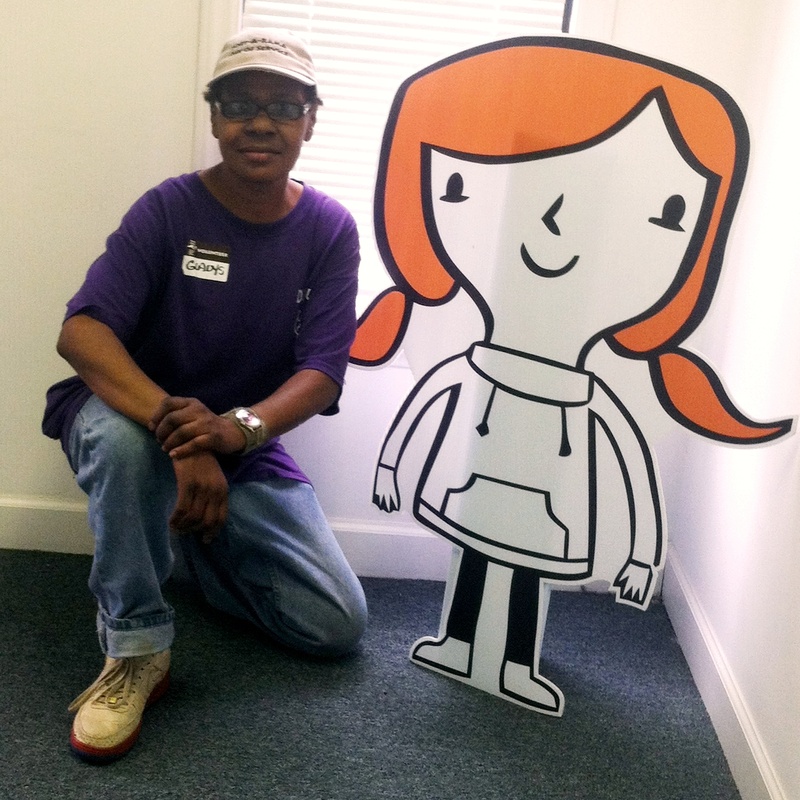 Mr. Sweet has volunteered with us for over 20 years and he comes in like clockwork on Tuesday and Thursday mornings. Miss Darian and Miss Rosalind help our staff set up volunteer projects any chance they get. Mr. Robbins’ kids come to the branch every Monday, Tuesday, and Wednesday after school and work hard until we close for the day. All of them are always just a phone call away and make the lives of our Sandhills staff easier and more enjoyable. 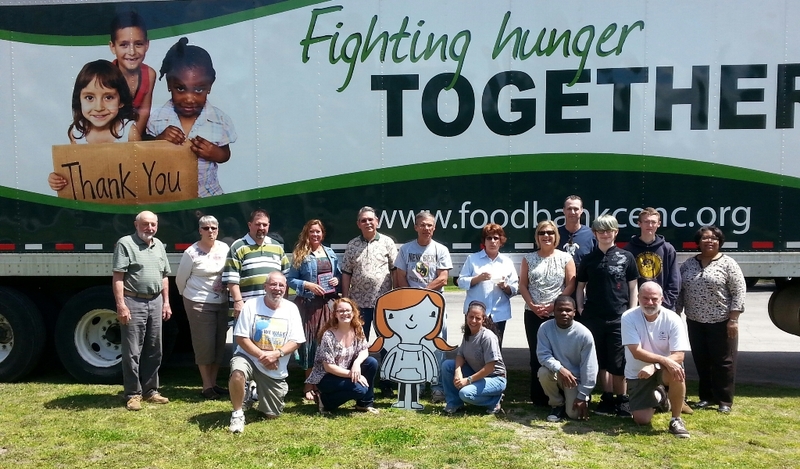 We appreciate their dedication to our mission to make sure no one goes hungry in the Sandhills region! Finally, we’d like to offer special thanks to all of our Sandhills volunteers for collectively serving over 1,000 hours during the month of March, a first-time record in our branch’s history! Meet Irene. A nurse by trade, she wanted to volunteer at a nonprofit that would allow her to keep “making a difference in people’s lives.” She now volunteers every Monday and Wednesday afternoon, helping to coordinate groups of volunteers and organizing the warehouse to keep it clean and tidy. Irene treats everyone with respect and encouragement and it is always a pleasure to work with her. 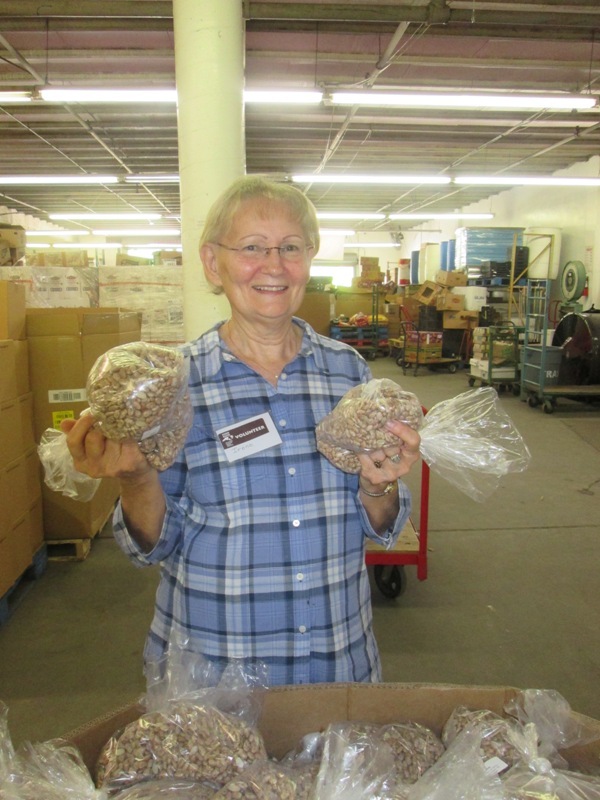 And when our Wilmington Volunteer Coordinator takes her vacation, Irene steps in to help keep projects moving along and food moving out of our doors to people in need. Thank you for your commitment to the Wilmington community, Irene! We are so grateful for the hard work of every one of our volunteers. Y’all breathe extra life and compassion into the work we do every day, and enrich our community for generations to come. And for that, we are eternally grateful. On behalf of the Food Bank and those we serve, thank you all for your generosity, leadership, and service!